Whenever it comes to the home based pallet furniture inspirations, our website is undoubtedly the matchless forum for you guys. You can find hundreds of pallet recycled furniture ideas here which are quite trendy and in fashion. 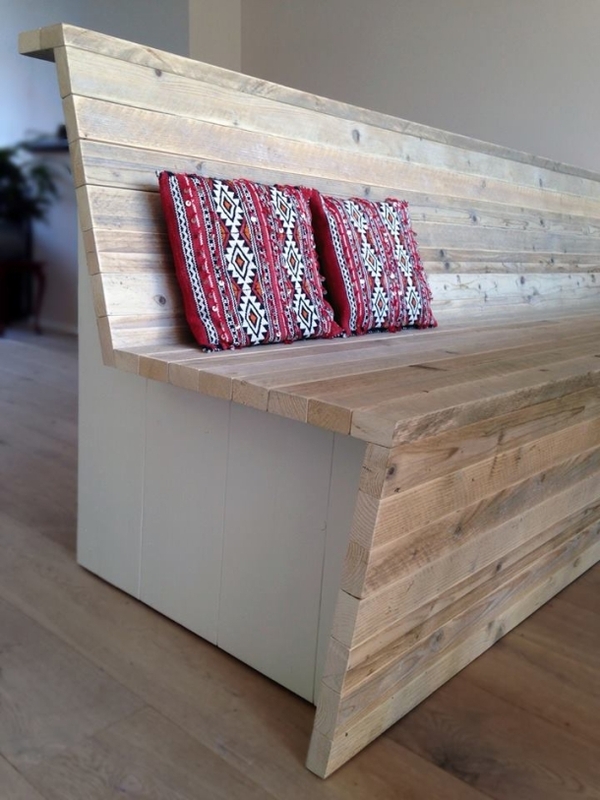 Today we are bringing you a pallet couch with storage. Couch is certainly a huge object and we usually disapprove them just because they cover a huge place. But if this couch has some additional storage space then it would be a best match to your home interior. You just can not take the chance to miss such a useful furniture item. A pallet couch is definitely a must have for every house hold. People spend hundreds and thousands of dollars on purchasing such stylish furniture items. Wooden furniture items are the most expensive article in a home setting. But since we started recycling the wooden pallets, our matters of finances have been fixed for once and for ever. Now just focus on the project of the day. This huge big pallet couch is a charm of the day. You just get ready to make plans where you are going to place it. You just do not worry about the place issue, its additional storage space would compensate all the captured space. This is a classic big couch that can be placed in your drawing room or your lobby. Look at the entire structure recycled with the wooden pallet. 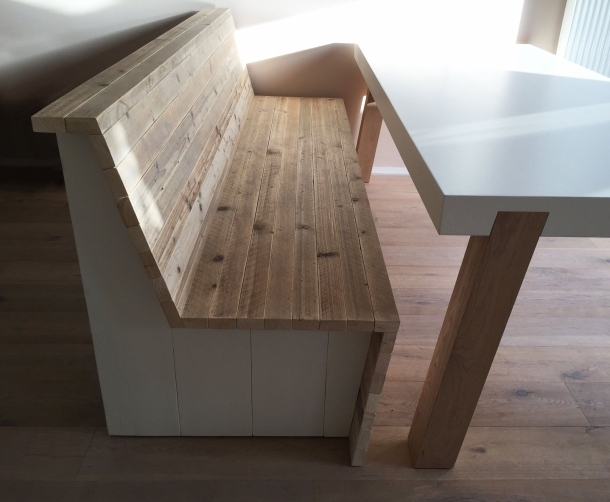 A straight long sitting space along with a outward bent back. 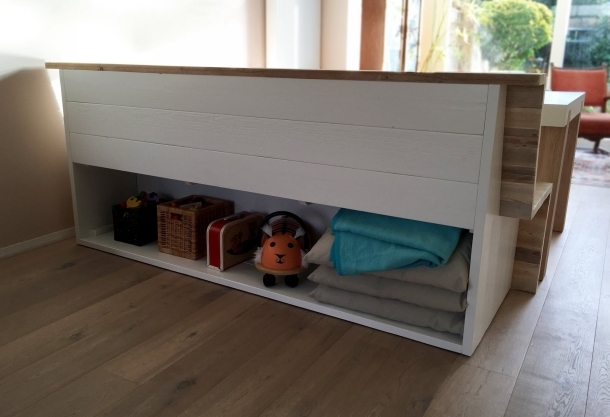 Now turning towards the storage space, there is a whole space on the back of the pallet wooden couch which is pretty enough to place a number of accessories whether it be some cushions, or some toys. 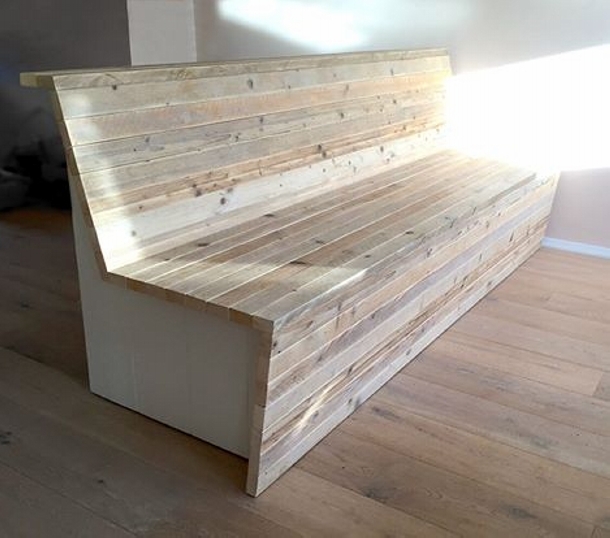 This back storage space is actually the base frame of this pallet couch with storage.